Industry-leading companies are increasingly releasing devices featuring a new, universal power port. Referred to as USB-C, or Type C, it is steadily becoming the emerging standard for charging devices and transferring data. Although it may take some time for universal integration, there is no question that it is becoming the new standard in digital technology. Compared to the previous ports that it will be replacing, the USB-C has a lot more to offer than simply charging devices. Keep reading to learn more about what the USB-C is capable of, and how your classroom can benefit from the switch! Put simply, USB-C is the style of the new universal connector and port. The technology that is used with USB-C universal connectors that gives them their powerful charging and data transfer capabilities is called USB 3.1. The purpose of combining this new universal connector type with USB 3.1 standard technology is that USB 3.1 is capable of charging devices with greater power requirements than the previous USB standard, such as laptops, as well as ones with lower requirements like phones, allowing it to be a truly universal solution. 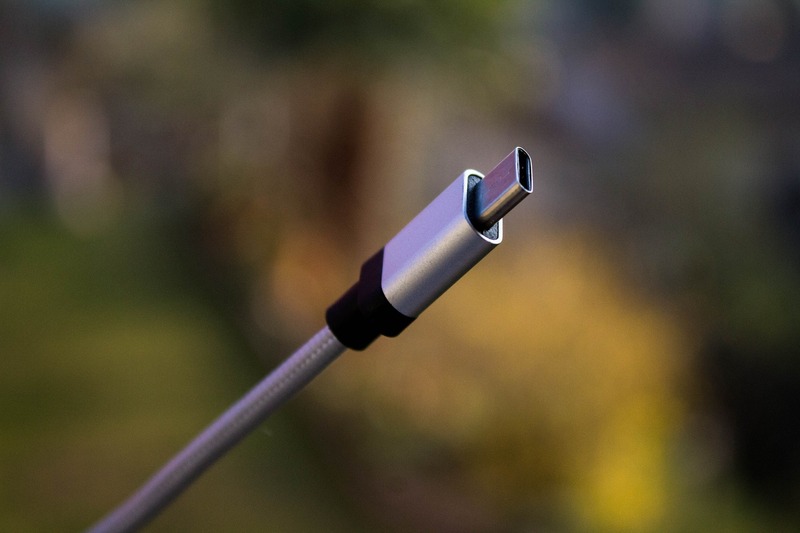 The two standards are often referred to synonymously, however, be aware that USB-C type connectors do not necessarily have to use USB 3.1 technology. For example, new Macbooks using the USB-C connector utilize Thunderbolt 3 technology (created by Intel), which actually surpasses USB 3.1’s data transfer rate capability. Since USB-C’s inception, it has been most widely integrated with smaller devices, including smartphones, tablets, and digital cameras. Increasingly, however, the USB-C is making its mark on devices with greater power requirements—including the notebooks and Chromebooks that are frequently used in classrooms. Since USB-C is compatible with an assortment of hardware, its integration will make charging a variety of devices in schools easier. Instead of having to maintain different charging stations or carts wired with separate cables, in theory, they will all be interchangeable for any device. For example, a teacher could have a charging station wired with only USB-C chargers and connect an iPad and a Chromebook side by side. As this trend towards universal charging continues, it also means that your school can also avoid having to throw out or replace expensive chargers every time you refresh your devices. This may prove amazingly useful in BYOD environments especially, where the types of devices that students show up with can be just as unpredictable as for how long their batteries last. So having a universal connector to charge-all, now wouldn’t that be convenient? No more excuses for uncharged devices! User-friendly features of the USB-C include its reversibility, compatibility, and size. By reversibility, I mean that with the USB-C there is no “wrong” way to plug it in since both sides are identical in shape. This means that everybody—from the administration to faculty, to students—should be able to plug it in without the hassle of flipping it over several times to find the correct orientation! USB-C charging cables also have the same connector on both ends, so there will not be any fumbling with which side goes into the computer. This may seem like a minor inconvenience, but trying to insert cables the wrong way can also cause damage to the device. But how could such tiny connector charge so many different types of devices? The USB-C connector uses USB 3.1 technology which is advertised as being able to deliver up to 100 watts, or 3 amps, of power. This makes it 20x stronger than the previous USB 2.0 and since most laptops only require around 60 watts, it should charge them without a hitch! Unlike its predecessors, the USB-C can also transfer data at up to 10 gbps! That already makes it 2x faster than the USB 3.0. So, instead of waiting around for files to transfer, now you have more time on your hands for the lesson plan. Perhaps you can even spend it experimenting with the Ultra-HD 4K video resolution that the USB-C delivers to USB-C and HDMI displays. What documentary should the class watch first? You may be wondering if this new technology will allow you to charge and manage your notebooks with the same connection. This is the concept of the sync and charge carts and stations for Apple products. 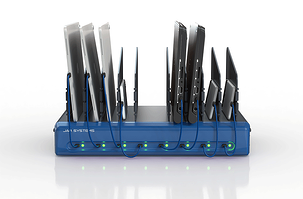 Powerful sync and charge hubs are not the most affordable solution, however, and these solutions have become less popular recently in favor of MDM software relying on the wireless network. Keep in mind that while browsing for off-brand USB-C cables it is important to always select one that meets the standards set by the USB Implementers Forum (USB-IF). Otherwise, the cables could fail and damage your devices. 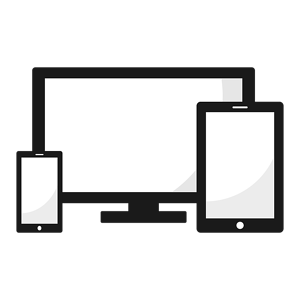 Nobody wants that, so check out how to select the appropriate cable for your devices. For the time being a number of manufacturers have restricted their devices to charge only with their cables as a precautionary measure. 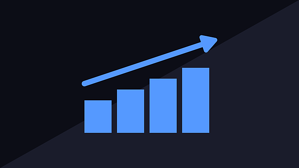 This is expected to change in the future and some of the most popular technology manufacturers, including Apple and Google, are already forging forward. As much of a hassle it may seem to have to switch over to USB-C, it seems as though it is going to be the technology of the future. And considering the sheer number of industry-leading technology manufacturers who are adopting the USB-C port, it is safe to assume it is not just a temporary fad! USB-C is coming soon, to a classroom near you.